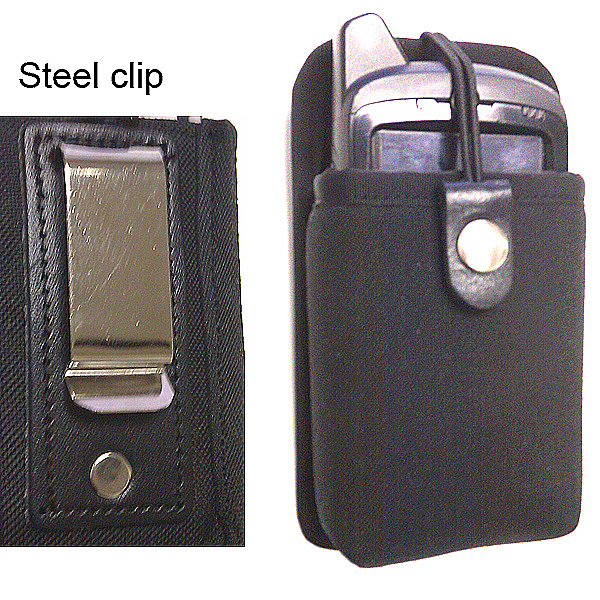 * Belt holster for the Motorola MC65. This model is made with heavy duty 1000 denier nylon inside and out, with foam padding between the layers. This provides a dry surface that will not soak up liquids. * The computer can be inserted upright or inverted, front or back facing to provide quick access with one hand. * It is available with several belt attachment options. * The hidden snap is offered to auto assemblers that require "no metal parts on the surface"
Contact us for a quote on this model or any custom requirement you may need.